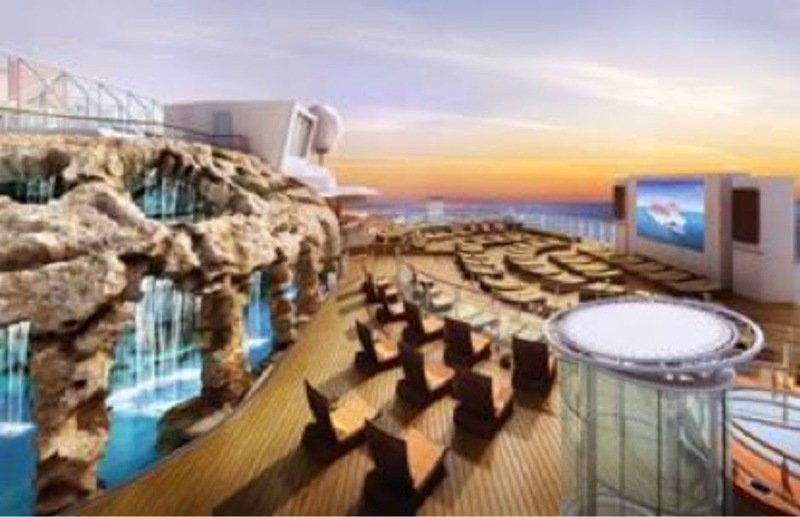 A Snow Room chilled to freezing point and the largest thermal suite at sea are among the relaxation spaces planned for Norwegian Cruise Line’s newest and largest ship, Norwegian Escape. Passengers will be able to enjoy the facilities of the company’s most innovative Mandara Spa to date, plus the adults-only Vibe Beach Club and Spice H2O night club with an all-new grotto area for guests to cool off after a day in the sun. The spa will span two decks, and contains a hydrotherapy pool, steam room, sauna, sanarium, salt room and whirlpools as well as 17 heated loungers with unobstructed views of the ocean. 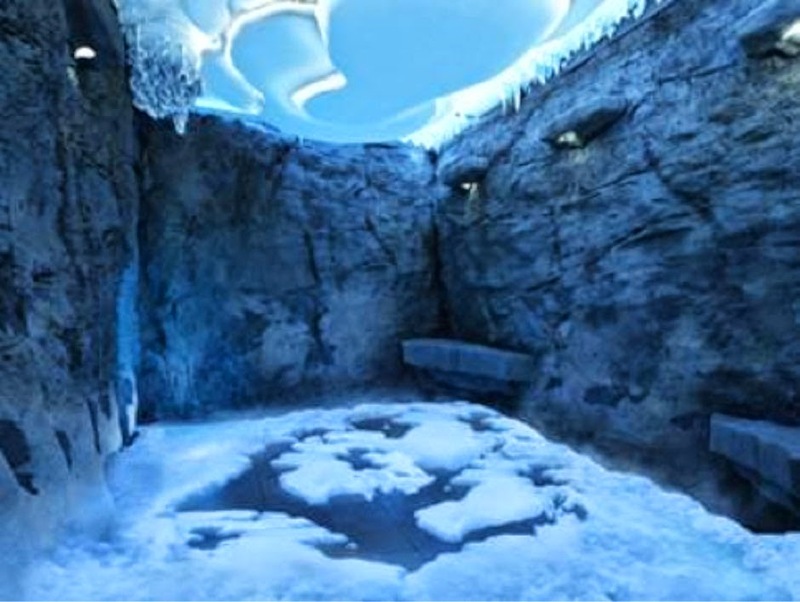 As its name promises, the Snow Room – chilled to as cold as -6 degrees C, will send out flurries of powdery snow claimed to stimulate blood circulation and strengthen the immune system. The spa will also have 24 rooms offering massages, facials and other treatments, including teeth whitening, acupuncture, and Botox. The ship’s fitness center will have the latest Technogym weight training and cardio equipment linked to to Apple music devices and there will be a large HD screen for guests to watch television or training programmes. Group fitness courses include Pilates, body sculpting boot camp, yoga, Zumba and TRX. Boxing buffs can take part in Norwegian Fight Klub will provide a high-intensity cardio boxing class. Personal training sessions, nutritional consultations and metabolic testing will also be available. Spice H2O, located at the stern of the ship on deck 17, is an adult-only enclave with sun loungers surrounding a huge video screen, and with two hot tubs. An all-new soothing grotto area, complete with waterfalls and perfect for cooling off from the Caribbean sun, will offer an exotic escape. For an extra fee, guests aged 18 and over will also have the opportunity to enjoy another private retreat – Vibe Beach Club. Norwegian Escape, under construction at the Meyer-Werft shipyard in Germany, is expected to make a brief visit to Southampton in October. From 14 November, it will take 4,200 passengers a week on seven-night cruises to the eastern Caribbean from Miami.